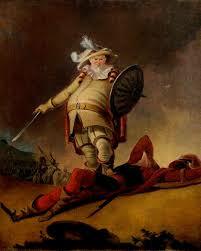 « 185,000 Views, King Henry V is cast and Curacao joins the Shakespeare Code!!! 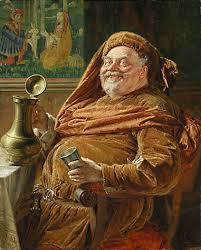 The Character of Falstaff and his Rejection by King Henry V.
The most fascinating thing about Falstaff is the contrast between his outside and his inside. On the outside he is a fat, lumbering man in his sixties – but in his inside he is a romantic, poetic youth who adores adventure and excitement. He has devoted his entire life to the pursuit of fun and pleasure. The only activity in life he takes seriously is robbery…..
…..and that’s because it funds that pursuit. He comes from an old, distinguished, literary family that had fallen on hard times – and his excesses have made them harder. …..but mentally he has a mercurial swiftness which delights in games and conundrums. He is a natural actor and a brilliant mimic who will naturally turn life into art. He lies all the time – but these lies take on a reality of their own: they convince him and delight other people. He can be opportunistic, ruthless and cowardly – but he loves life with all his heart. And that is why we love him. His rejection by King Henry is the play’s most complex moment. 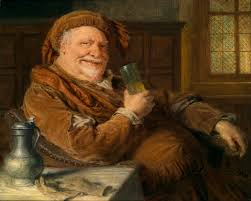 Hal has always known that he must give up the companionship of Falstaff when he becomes King: but he has NOT planned the way he will do it. …..it is is an act of familiarity that Hal has not anticipated. 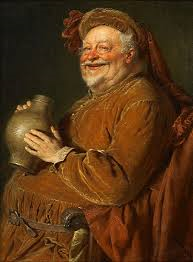 I know thee not old man…. One spontaneous act follows another – and we have a genuine tragedy. Both men are in the right. This is part of the Programme Note for ‘The Making of a King – Henry V’…..
…Stewart Trotter’s adaptation of The Famous Victories of Henry V and William Shakespeare’s King Henry IV Parts One and Two and Henry V…..
WITH PLAYING TIME OF UNDER TWO HOURS!!! 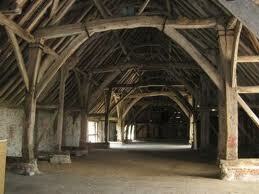 It will be presented by The Titchfield Festival at the Great Agincourt Barn in Titchfield…. Wednesday 24th June, Thursday 25th June, Friday 26th June, Saturday 27th June, Tuesday 30th June, Wednesday 1st July, Thursday 2nd July, Friday 3rd July…..
…..and at 2.30 and 7.30 p.m. on…. 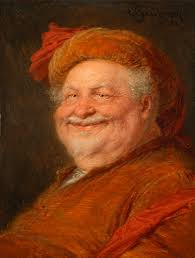 To read why Falstaff is fat, Click: HERE!!! To read the script of The Making of a King, Click: HERE!!! To read the Concept behind the play, Click:HERE!! !